Anyone who struggles with acne will tell you they’ve been told a thousand times over not to use anything with oil. Once thought of as something that clogged pores and caused breakout, oil in skincare has become something we’ve all been taught to avoid. What we don’t realize is that when we remove oil a lot of times we are also stripping the product of moisture, and we could potentially be losing out on some seriously nourishing and healing products. I don’t know about you but a lot of my acne fitting products can be seriously drying, so naturally I’m curious about this new beauty trend. Much like there are a variety of cooking oils, and some serve better purposes than others; the same is true for oils in skincare. 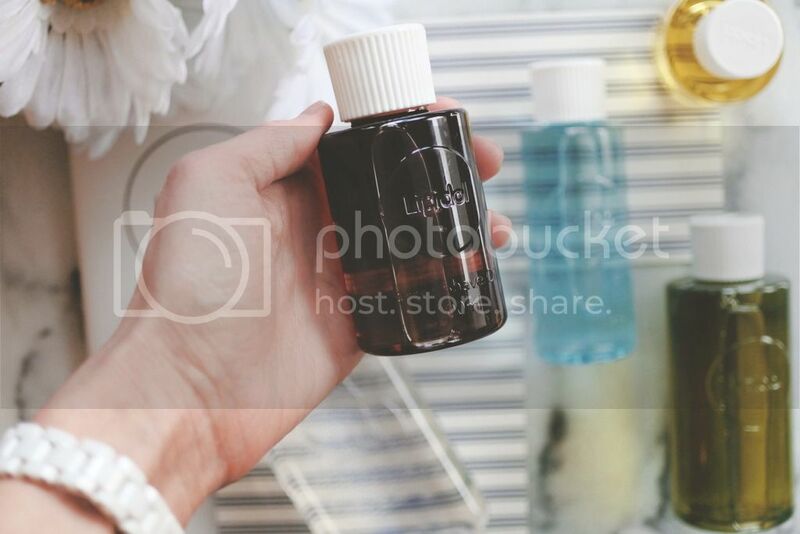 Like you, I’ve been hearing a lot about oils for cleansers, makeup remover, and soothing dry skin. With some new research it’s definitely one of the biggest trends we are seeing right now in the beauty blogosphere. 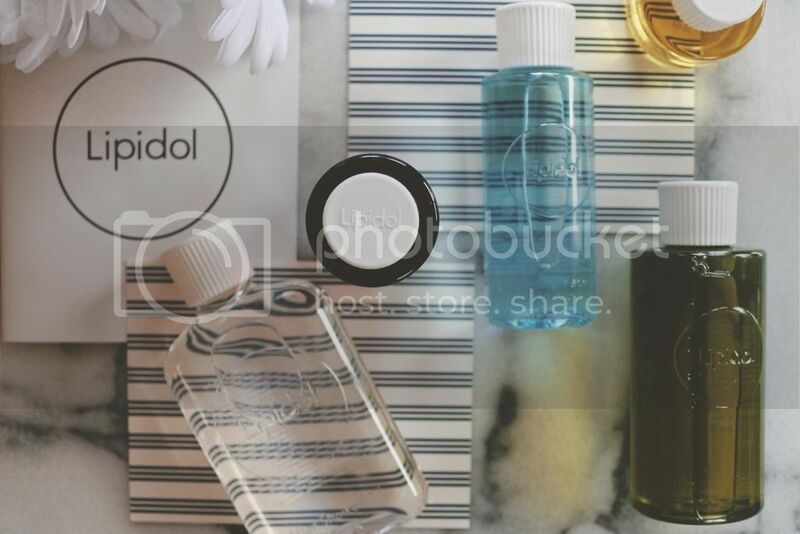 Recently I had the pleasure of testing the complete line of Lipidol products, consisting of 5 different types of oils from after-shave oil, to cleansers that slough away pesky makeup the brand is definitely changing how we perceive oil in skincare. 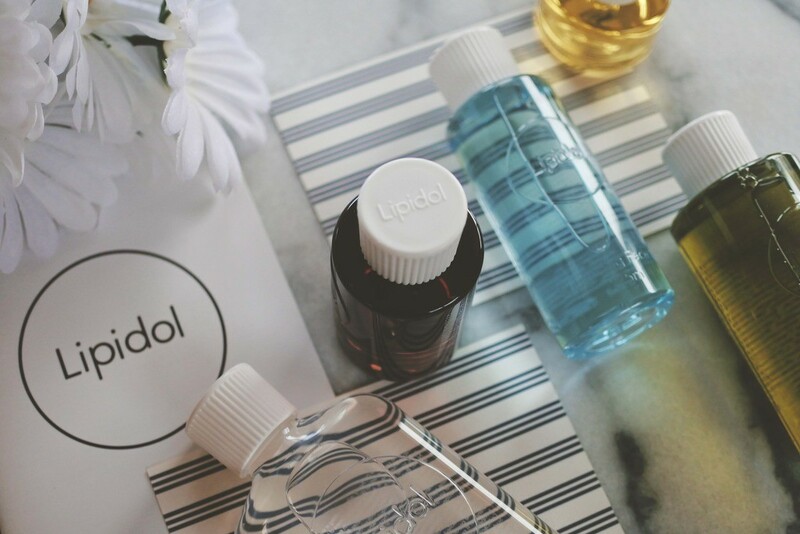 If you aren’t already familiar with Lipidol they are a relatively new brand brought forward from the beauty favorite Bio-Oil. 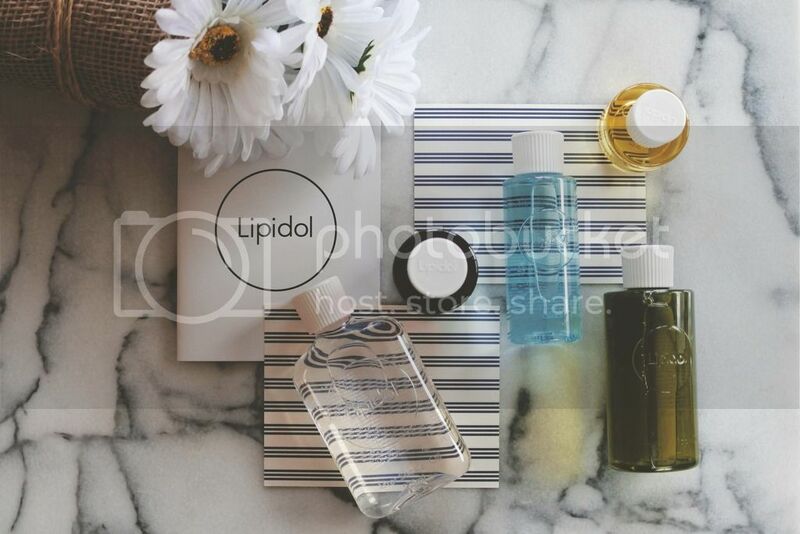 The Lipidol products are oil based, and suitable for sensitive skin and non-comedogenic (i.e. won’t block pores), and come in some seriously great packaging. I am obsessed with its chic minimalist look. The whole idea with an oil-based cleanser is that oil removes oil, so this cleansing product washes off dirt without stripping the skin’s its natural oily layer. Makes sense right? Want to get to know the products better? Here’s a brief intro to each of the products I tested. Removes dirt and make-up without stripping the skin’s natural oily layer. Apply to dry face. Dirt and make-up will bind with the oil. Add a little water and continue massaging. The oil will emulsify to form a watery cream. Rinse off. Fragranced with Rosemary and Niaouli essential oils. Suitable for sensitive skin, non-comedogenic. Ingredients: Paraffinum Liquidum, Ethylhexyl Stearate, Isopropyl Palmitate, Oleth-5, Aqua, Argania Spinosa Kernel Oil, Sesamum Indicum Seed Oil, Beta-Sitosterol, Serenoa Serrulata Fruit Extract, Tocopherol, Salicylic Acid, Bisabolol, BHT, Rosmarinus Officinalis Leaf Oil, Melaleuca Viridiflora Leaf Oil, Azulene, Melia Azadirachta Leaf Extract, Melia Azadirachta Flower Extract, Melia Azadirachta Seed Extract, Amino Esters-1, Coccinia Indica Fruit Extract, Solanum Melongena Fruit Extract, Aloe Barbadensis Flower Extract, Ocimum Sanctum Leaf Extract, Ocimum Basilicum Flower/Leaf Extract, Corallina Officinalis Extract, Simmondsia Chinensis Seed Oil, Mica. Washes off dirt without stripping the skin’s natural oily layer. Apply to wet skin. The oil will emulsify and lather. Rinse off. Fragranced with Lime essential oil. Suitable for sensitive skin, non-comedogenic. Ingredients: Glycine Soja Oil, Ricinus Communis Seed Oil, MIPA-Laureth Sulfate, Laureth-4, Cocamide DEA, Aqua, Citrus Aurantifolia Oil, BHT, Melia Azadirachta Leaf Extract, Melia Azadirachta Seed Extract, Amber Powder, Coccinia Indica Fruit Extract, Solanum Melongena Fruit Extract, Ocimum Sanctum Leaf Extract, Ocimum Basilicum Flower/Leaf Extract, Pearl Powder, Limonene. Supplements the skin’s natural oily layer stripped away by washing. Apply after bathing or showering. Fragranced with Chamomile essential oil. Suitable for sensitive skin, non-comedogenic. Ingredients: Paraffinum Liquidum, Isopropyl Palmitate, Cetearyl Ethylhexanoate, Oryzanol, Bisabolol, Tocopheryl Acetate, Pyridoxine Dipalmitate, Octyldodecyl PCA, Phytosterols, Carthamus Tinctorius Seed Oil, Borago Officinalis Seed Oil, Linoleic Acid, Linolenic Acid, Butylene Glycol, BHT, Anthemis Nobilis Flower Oil, Farnesol. Supplements the skin’s natural oily layer stripped away by shaving. Apply to face after shaving. Fragranced with Petitgrain essential oil. Suitable for sensitive skin, non-comedogenic. Ingredients: Paraffinum Liquidum, Cetearyl Ethylhexanoate, Isopropyl Palmitate, Isostearyl Isostearate, Ethylhexyl Cocoate, 4-t-Butylcyclohexanol, Pentylene Glycol, Boswellia Serrata Resin Extract, Bisabolol, Tocopheryl Acetate, Retinyl Palmitate, Pyridoxine Dipalmitate, Octyldodecyl PCA, Phytosterols, Plukenetia Volubilis Seed Oil, Carthamus Tinctorius Seed Oil, Borago Officinalis Seed Oil, Linoleic Acid, Linolenic Acid, Helianthus Annuus Seed Oil, Butylene Glycol, BHT, Citrus Aurantium Amara Leaf/Twig Oil, Eclipta Prostrata Extract, Melia Azadirachta Leaf Extract, Melia Azadirachta Flower Extract, Melia Azadirachta Seed Extract, Amino Esters-1, Ocimum Sanctum Leaf Extract, Ocimum Basilicum Flower/Leaf Extract, Corallina Officinalis Extract, Moringa Oleifera Seed Oil, Coccinia Indica Fruit Extract, Mica, Farnesol, Geraniol, Limonene, Linalool. Supplements the skin’s natural oily layer stripped away by daily exposure to the elements. Apply to face before going to sleep. Fragranced with Ylang-Ylang and Black Pepper essential oils. Suitable for sensitive skin, non-comedogenic. 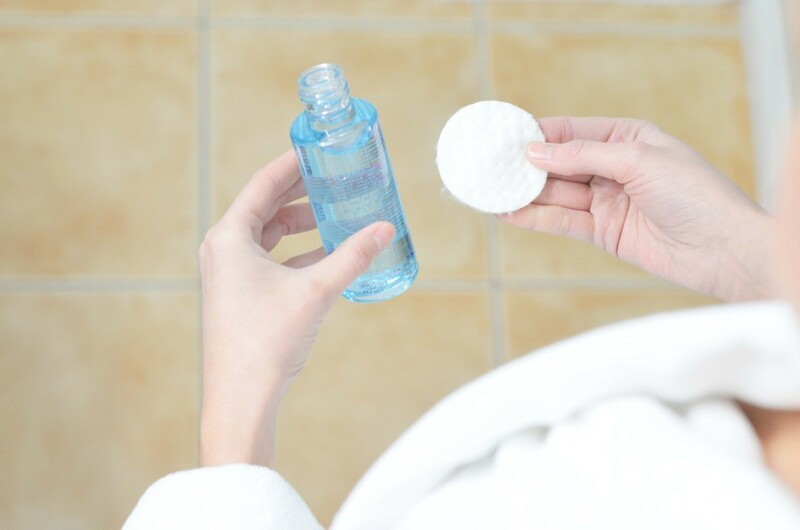 I’m a huge fan of double cleaning when it comes to my face, so I love the idea of using the cleansing oil to remove stubborn makeup like waterproof mascara or a lip stain for instance. And then following up with my regular cleansing routine to ensure proper cleansing. When I wear makeup I tend to wear A LOT lol (I especially love bronzer which pretty much gets EVERYWHERE) and it can be tricky getting it all off. 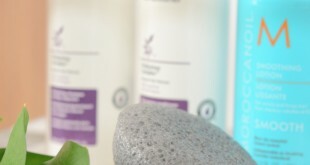 The cleanser contains a mix of oils such as: Argan, Sesame and Rosemary along with Rosemary, Aloe and Henna extract which are very healing for the skin. Once you’ve massaged the product into your skin, use water to emulsify and help you rinse it off. It’s definitely different than what you’re used to, but that’s kind of the fun part! Overall I liked experimenting with the Lipidol products. It was something quite different for me, and I’m always up for a new skincare adventure. The scents were very subtle, and I felt like they were very nourishing, and I liked the feel of the products on my skin (they absorbed well). I especially liked the after shave oil because my skin gets so dry from shaving (mostly because I do it every single day). 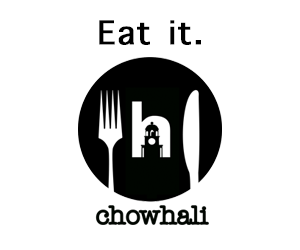 If you give it a try please keep me posted! I love hearing your feedback. Feel free to comment below, or reach out to me on social media @shortpresents! This post was sponsored by Lipidol however all opinions expressed are my own.